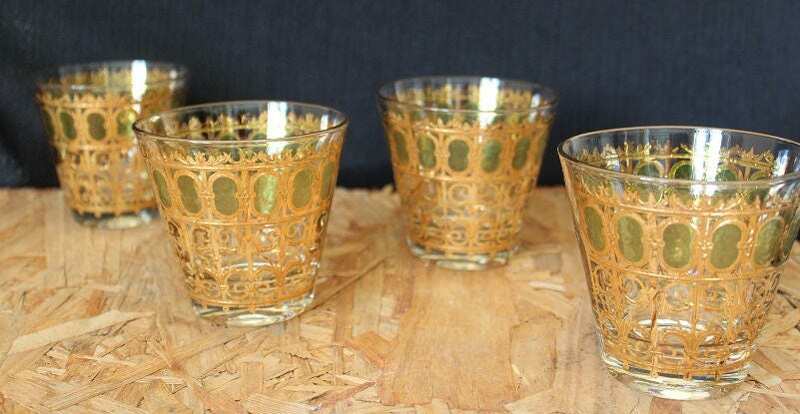 Cheers to a stylish cocktail hour with this set of four Culver old fashioned glasses. 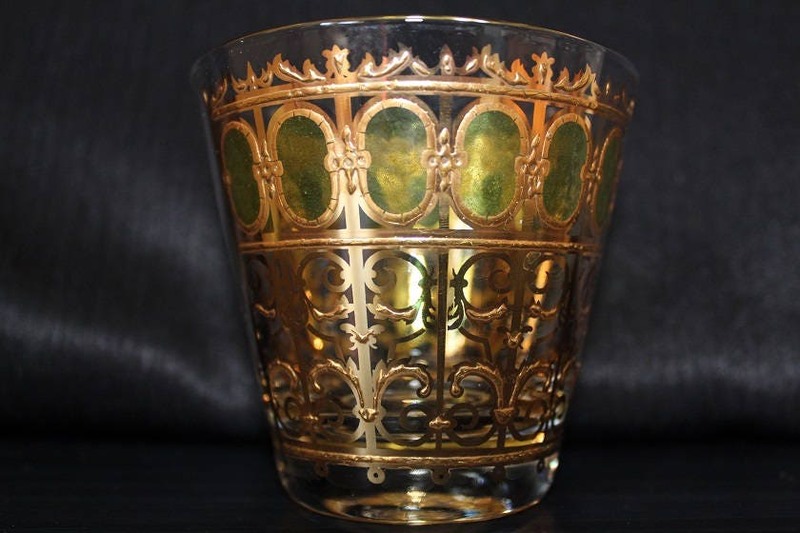 The clear glass features a 22 k gold scrolled design circling around the bottom half of the glass. Above this scrolled design is a 22k gold oval framing a green textured glass. 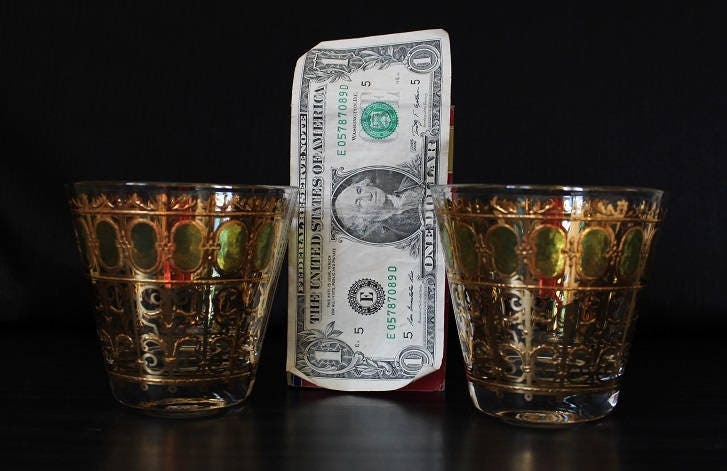 There are three gold horizontal bands circling around the the glass which separates the designed areas. The weighted base and rim are a clear glass. These glasses are signed "Culver".